A snoozer on a lazy Sunday afternoon in West Lafayette turned into a thriller, as Purdue pulled off a huge win over the Hawkeyes to effectively keep postseason hopes alive (where have we heard that before?). While the first half rivaled the ugliness of the game against Eastern Michigan (who made some headlines of their own this weekend), the second half and overtime was some of the most exciting basketball of the year. Iowa has made a habit of second half comebacks this year, so it was no surprise that an 11-point Purdue lead disappeared in a matter of minutes. What WAS a surprise was that Purdue was able to tie the game inside of 35-seconds, seeing that they've failed in their other opportunities this year when trailing by 3 or less at the end of the game. Matt Painter drew up a great play around an inside screen by Hammons, and Terone Johnson made a layup that was more reminiscent of a team being down 10 with a minute to go ("quick two and then foul!") than a game-tying layup. It's hard to believe Iowa gave up such an easy shot on their biggest defensive possession. Regardless, I loved seeing the Boilers attack the rim with a set play as opposed to the typical running, floating prayer that gets blocked by a 6'2" guard. Not sure what Hale's other hand is doing, but after the game he played, he gets to do whatever he wants. - Melsahn Basabe had a 5 minute stretch in which he looked like the best player in the conference. From the 1 minute mark of regulation to just under 1 minute left in overtime, Basabe was a monster with 5 points, 4 rebounds, and a block. He also nearly tipped in the game-winner at the end of regulation. I have no idea why we couldn't box him out, but he was single-handedly keeping Iowa in the game. Thank goodness he didn't play that way the whole game, otherwise it would have been tough to overcome an extrapolated 45 point, 36 rebound, and 9 block effort by the big man. - I can't tell you how many times I yelled at my tv, begging Ronnie Johnson to not take another shot (actually, he was 6-12, so I probably said it 6 times). But man he was good in overtime with two huge floaters. Add that to the fact that the Johnson brothers committed 1 turnover in 78 total minutes of play, and I can live with some dumb, forced shots (especially if Ronnie ends up shooting 50%!). We keep saying it time and time again...this team has a bright future with Ronnie at the point. - The Hawkeyes looked like they were going to steal the victory from the line as Roy Marble got ready to shoot his second free throw up 2 with 47 seconds left. Iowa was 18 for 22 at this point from the line (Marble was 8 for 8), and everyone knows that Purdue turns into a bunch of Mexican jumping beans when down 3 points with less than a minute to go. You know how this turned out. Marble missed, Terone got his easy layup, and Iowa would finish the game hitting 1 of its last 5 free throws. 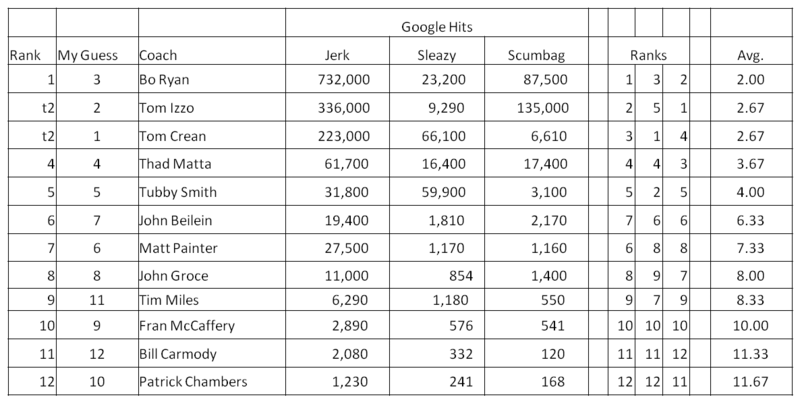 Sure, Purdue only shot 60% from the line, but they generally hit them when they counted. You can't say the same about the Hawkeyes. It may not have been the prettiest game you've ever seen, but it sets up a huge showdown with the Hoosiers on Wednesday. If the Boilers can sneak out of that one with a win, all the sudden you're looking at 2 winnable road games (Penn State and Northwestern) before returning home against Michigan State. If the Boilers are 6-4 (or dare we say 7-3) in the Big Ten heading into that game, expect the Saturday night crowd to be rocking with March Madness becoming more than a glimmer of hope in the distance. Let's get ready for Wednesday...BOILER UP!!! I've been under the weather, so we're going to keep this one short. Iowa comes in to Mackey later this afternoon to face the Boilermakers. If they play like the first half of the Michigan game, or like their last home game against West Virginia, the Boilers will win this game somewhat easily. While I don't expect another three-point shooting barrage in the first half, I do expect AJ Hammons to have a much better game. Also, look for Jacob Lawson to regain some playing time, since Purdue will need him to match up against Iowa's bigger bodies. With strong defense, Purdue should be able to create a lot of turnovers, like they did against West Virginia, to capitalize and frustrate the Iowa offense. It'll probably be an ugly game for the Boilers to prevail. At 2-4 in the conference, Iowa's losses have all come against ranked teams (Indiana, Michigan, Michigan St., Ohio St., in my opinion the top four teams in the Big Ten), and two were incredibly close. They also beat Northwestern on the road and Wisconsin at home. 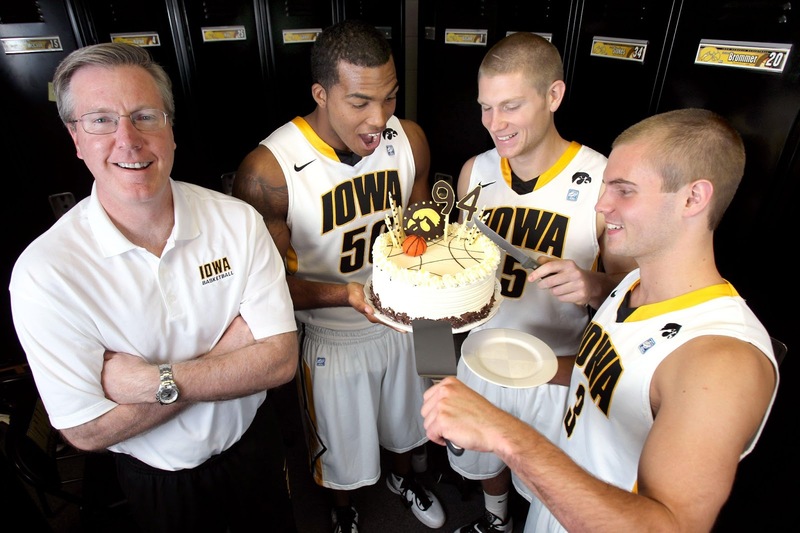 If you haven't figured it out yet, that means that the Hawkeyes are likely much better than their record dictates, and they haven't played the conference cupcakes yet. 7-foot center Adam Woodbury may be able to keep Hammons quiet inside, Aaron White and Roy Marble will likely get the offense going, and Melsahn Basabe can be a terror on defense around the rim. No Fran, there will not be punch and pie! This probably isn't that critical, but be ready to see the Purdue coaching staff wearing special Coaches vs. Cancer shoes during the game. Thankfully they won't be those hideous bright pink ones for breast cancer awareness. Maybe if Painter gets really angry, he'll throw one across the court. Who throws a shoe? Honestly! Our Picks - We like to think we're better than Vegas. So throughout the season, we'll be "betting" a whole dollar amount versus the spread between $1 and $32, but we can't repeat the same value twice. The spread for this game is Purdue by 2.5 points. At Michigan, I had expected a big loss for the Boilers, and while the final score was just about the predicted point spread, the game was much closer than it looked. Thanks to a high-intensity first half, Purdue had a one point lead at halftime. How on earth did they do that on the road against the top* team in the country? By playing defense, shooting an uncharacteristically high percentage (and volume) on three pointers, and Michigan missing a lot of buckets they should have made (regardless of the defensive pressure). It was impressive but also one of those halves where you know that the better team isn't playing anywhere near their potential, and the underdog is having an atypical game. It kind of reminded me of some of those early round NCAA Tournament games, where the 15 seed makes life miserable for the 2 seed, only to have the favorite make adjustments at halftime and play like everyone expected. Purdue was certainly the 15 seed in this situation. After shooting 50% through a good chunk of the first half, including 7 of 13 from downtown (what?!? 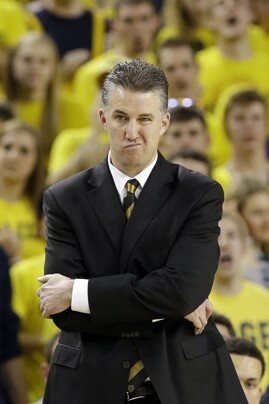 ), everything cooled off and the Boilers finished shooting 39% (32% from three) to Michigan's 49%/44%. Purdue actually hit five of its first seven three pointers, four in the first five minute of the game. I thought I was watching a different team. But then of course they missed all nine attempts in the second half, and I knew the small screen at the pub hadn't accidentally switched to another game. The second half started much like the first, and Michigan couldn't pull away. With less than 15 minutes to play in the game, Purdue still led by one point, but then the wheels finally fell off. Over the next eight minutes of regulation, the Boilers made only one basket (thanks Terone) while tallying four missed three pointers, four other missed shots, five dreadful turnovers, and four fouls. 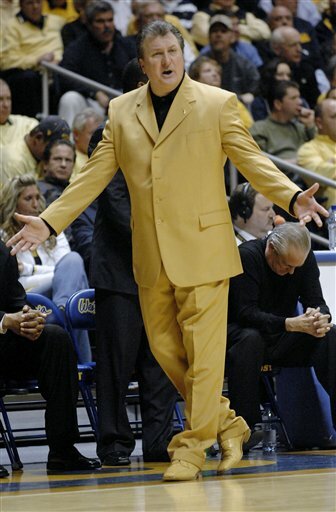 Stints like that will make Painter pull his hair out until he looks like Gene Keady. Purdue would try to rally, cutting the deficit to six points, but they had dug too deep a hole as the Wolverines proved too good and determined to let this game slip away - exactly what good teams do. The scorers are getting their points, but not doing it as efficiently as needed. Terone was 6 of 14 and DJ was 4 of 10. Ronnie Johnson continues to have issues with his shot, going 2 for 10. He just can't be relied upon to hit anything (definitely not a jumper or a 3), and if he doesn't finish on his quick drives to the basket, he's quite the offensive liability. It reminds me of Lewis Jackson when he was younger and less consistent. Ray Davis continued to progress, scoring 10 points, but with him starting, the bench was fairly unproductive, only pulling down 3 rebounds while scoring 10 points. That's pretty sad when you play four bigs off the bench when AJ Hammons only played 24 minutes, and they only have two rebounds between them. Speaking of Hammons, he was the outlier on the box score, with only two points and two rebounds. It's really rough when your only interior threat disappears, which is what seemed to happen Thursday night. I'm not sure what was wrong with him, but hopefully he was sick and not having "effort issues." After another hard fought loss to one of the Big Ten's top-ranked teams, it becomes more and more apparent that there are big things down the road for this team, just not this season. The Boilers will not win a road game against a ranked opponent this season, and that's OK. We have to be realistic, and this team might, just might, be able to upset a ranked team at home if everything is clicking. Sure, they already beat Illinois, but we all now know that win isn't something to crow about since the Illini are average at best. Now the Boilers need to regroup to face a tough test against an Iowa team scratching and clawing to make the NCAA Tournament this season. Win that game and post-season play is definitely still a possibility, as is making a small move up the Big Ten ladder. After all the love I gave to Wisconsin last week, they go and lose both their games this week. Yes, I took that personally, stupid Badgers. Things are continuing to heat up in the conference, and the teams many projected to be at the top in the preseason now are. That's not too exciting, so here's hoping for a lot of shakeup after a crazy week (but I doubt it). On to the rankings, where I realize listing the RPI ranking is strange when they seem to barely move no matter what happens that week. 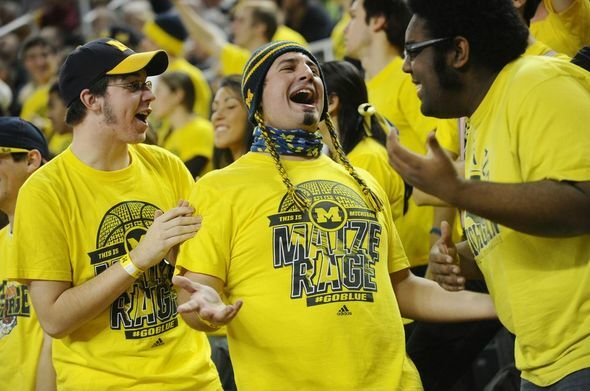 After a horrible first half, Michigan was able to put their game together and beat Purdue in Ann Arbor. That wasn't overly impressive, since they didn't cover the spread, but a win's a win, and no one else was impressive enough to take leapfrog the Wolverines in the rankings. This week they have a bit of a "break" facing Illinois and Northwestern, before a torrid four-game stretch in early February. The Hoosiers also didn't do anything particularly wrong this week, beating Northwestern and Penn State, as they should. They host Michigan State this weekend, which will determine the real #2 in the conference, which they still should win, and then they head to West Lafayette to get upset by the Boilermakers. Hey, positive mental attitude people! As much I despise this Spartan team, they are getting stronger as the season progresses. I previously ripped them for not having won any hard games, but now with narrow wins against Ohio State and at Wisconsin, they are better than I thought. I still don't think this team has enough to win the conference, when compared to Michigan and IU, but we'll see if they can upset the Hoosiers at home this weekend and happily prove me wrong. After beating Iowa and losing at Michigan State, I'm leaving the Buckeyes at #4 partly because I think they have more talent than Wisconsin, and partly because I expect them to rattle off three straight wins against Penn State, Wisconsin (at home), and Nebraska. I was really rooting for them to beat MSU, which just tells you how much I dislike the Spartans this year. We don't need no stinking Badgers. In two close games (aren't all their games close, playing that style? ), Wisconsin lost at Iowa and at home against Michigan State. Both were moderate surprises, but combined they mean Wiscy is in bad shape and has lost all the air of superiority they gained the previous week. And now they get to face Minnesota and travel to Ohio State this week. That could be four straight losses and cause Bo to bite the head of a live bat or assistant coach (yes, this is going to be a running gag with Bo). What is wrong with the Gophers? Three straight losses, and while two were somewhat expected (at IU and vs. Michigan), losing at Northwestern certainly wasn't. The freefall could continue at Wisconsin this weekend. Iowa had an impressive victory over Wisconsin before losing to Ohio State. I moved them ahead of Purdue because they've beaten a better team (Wisconsin) than Purdue has, and all their conference losses are against the top 4 teams. They'll give the Boilers all they can handle this weekend in the battle for leader of the bottom half of the Big Ten. Unlike the Boilers, they have an outside shot at making the NCAA Tournament, and expect them to play like a team on a mission. The Boilers get major non-con cred for demolishing West Virginia, and they played the first half against Michigan like a team that had really turned a corner. Then they got overpowered and the young/inconsistent Purdue team showed up to blow the game. They still have the ability to give any conference team a run for their money, but getting a marquee win is going to be difficult for them on the road. At home, though, it's possible. Beating Minnesota is pretty great for the Wildcats, but with the Gophers sliding big time, it may not be as impressive as at first glance. Don't expect many more "major" upsets from Northwestern, but they should be in any game against the middle and bottom of the conference. The Illini beat Nebraska for a light week, but look at who they face next: Michigan, MSU, Wisconsin, Indiana, Minnesota. It's going to be pretty funny when they are 2-9 or 3-8 in the conference, and I'll be able to hear the crying fans all the way in Indianapolis. Congratulations to the Huskers for beating Penn State on the road to show people that they aren't the worst. Maybe they can upset Northwestern this weekend and make it a productive season. It wouldn't surprise me to see the Nebraska program really develop from crappy to mediocre now that they have the prestige of being in the best basketball conference in the nation. After losing the cellar-dweller battle to Nebraska last weekend, the Nittany Lions also got crushed by IU. Will they win another game this season? Don't bet on it. - Matt Humphrey got only his second start of the season for the Mountaineers after being a starter for both Oregon and Boston College over the last four years. He hit a 3-pointer early on but got into foul trouble and wasn't much of a factor. Perhaps one of the reasons he isn't starting much is that his on-court mannerisms are a little...peculiar. 3-minutes into the game, Humphrey played an entire 25-second offensive possession with his jersey IN HIS MOUTH. He even got the ball and took a couple dribbles with a jersey that looked like a turtleneck. They never showed a closeup of it, so here's a really blurry zoomed-in picture to prove it to you. What a weird dude. - Davis looked really solid out there and seems to be the calmest player on the team. In fact, I think that in a crunch-time situation, I'd rather have Rapheal Davis taking a game-tying three than any other player, including DJ Byrd. Byrd has been excellent recently and was awesome against West Virginia. However, DJ gets a little excited sometimes and on big shots he can get a little too amped up. The Boilers will have another game come down to the wire, yet I highly doubt Painter will draw up a play for the freshman. It's too bad, because I'm really excited to see Davis develop and become someone who can hit the dagger. - This Boilers seemed like they played the perfect game, yet they turned the ball over 16 times, gave up 15 offensive rebounds, and shot 62% from the free throw line. This team is A LOT of fun to watch when their playing like they did on Saturday. And amazingly, there's still room to play even better. It was a fun win that has the entire fanbase buzzing about this team's potential. Still, the NCAA tourney is a long ways off. If the Boilers are going to make a run for it, they're going to need some signature victories. I think a good start would be a road victory over a top 5 team. We don't have any of those coming up, do we? We interrupt your regularly scheduled Big Ten conference game to bring you this special message. Do you like large gross men with questionable ethics? Gold suits? Coonskin caps? Muskets and hunting? Then have we got a deal for you! Tune in to CBS at 2pm on Saturday for a special edition of the Purdue vs. West Virginia Basketball Showdown! Playing for the third time in four years, this match-up will feature two similar teams, each looking for consistency and an identity, and each with an overall record that belies their ability. In the two previous meetings, the victory went to the home team, so Purdue has that going for them. Seriously though, if this game was on a neutral court I couldn't see it being bet as anything but a pure tossup. West Virginia plays physical defense, likes to rebound, spreads the scoring around without one go-to guy, and has a big man (Aaric Murray) who can cause problems for Hammons and do his own bit of scoring (10 ppg) and rebounding (7.1 rpg). They also have some other sizable forwards which may not allow Painter to go small as he's been doing recently, but the Mountaineers can also play four guards at times. It's really going to be a chess battle since each coach has similar rosters to work with. West Virginia shoots even more poorly than the Boilers (hard to imagine, right? ), but they take twice as many three point shots as Purdue. If those start falling, it becomes the main difference between these teams and will certainly give the Mountaineers the edge. Since the game is being featured on CBS, let's look at how the Boilers have done in recent years in games on CBS (postseason excluded). I expect this not to look very good. So Purdue is 6-6, and I learned nothing from that exercise other than it's better than I expected, although not so good last season. At least Painter doesn't have some terrible flaw getting the team ready for big weekend games on CBS. One of the rare times he wears a suit and it's vomit-inducing. Will he dress up for CBS? Our Picks - We like to think we're better than Vegas. So throughout the season, we'll be "betting" a whole dollar amount versus the spread between $1 and $32, but we can't repeat the same value twice. The spread for this game is Purdue by 3.5. Welcome to the Big Wisconsin Power Rankings. That's right, the Big Ten is Wisconsin's playground, and everyone else is just visiting. In a week packed full of big games, the Badgers win at Indiana was the definite highlight. It's also becoming very clear that non-conference records mean very little as teams like Illinois are being exposed and falling flat on their faces. Is the Big Ten still the best conference in the country. I definitely think so, but this NCAA season seems like one where there are a lot of very good teams, but no truly GREAT ones. 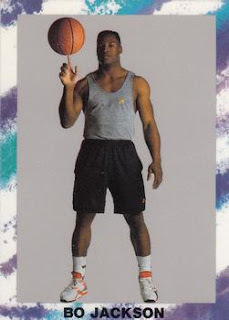 On to the rankings, where Bo Knows Basketball (side note - want a surefire way to feel old? Current college seniors were not born yet when those ads were running). After huge wins at Indiana and against Illinois (by 23 points! ), the Badgers are shocking all the experts with their 4-0 start to conference play. Bo Ryan continues to combine above-average players into teams that run like a well-oiled machine. Talk about someone who is a fantastic coach (as opposed to his opponent earlier this week). Just another year where pundits expect Wisconsin to break its streak of consecutive conference top-4 finishes only to see them prove everyone wrong. Michigan bounced back from a rough game in Columbus to pound the Gophers in Minnesota. I was very impressed with how good Michigan looked on the road for the majority of the game last night in an incredibly physical game (yes, the Gophers are thugs). The loss at OSU doesn't change the fact that Michigan should be competing for a #1 seed come March. Trey Burke continues to be all-world, averaging 18 points and 7.2 assists per game. Watching the Hoosiers flounder against Wisconsin this week was a thing of beauty. They weren't as smart or physical as they needed to be, lacked senior leadership, and have a coach who got completely owned. Crean's Hoosiers have never beaten Bo Ryan, and it's nice to see this game make even the IU faithful have to admit that Crean is a below average in-game coach. Not only is the guy classless, ridiculous, annoying, a sore loser, immature, and about as fake as they come, he's also not worthy of coaching the talent he's recruited. I rip on Purdue at times for playing "young" or making unwise decisions, but when veteran players on the most hyped team in the country are making the same mistakes and can't even run their offense through their best player in the second half, it's major cause for concern. Any fear IU put into opposing teams is dwindling fast. The Buckeyes only played once this week, beating Michigan at home. That was a good win for them, but I still have trouble overlooking their horrible black eye - getting destroyed by Illinois a couple weeks ago. It's the only bad loss on their schedule (the other losses were to Duke and Kansas, unsurprising). A win this weekend at Michigan State will make them a real contender for the conference title, especially since they only have to play Minnesota once this season and it's at home. A rough week for the Gophers, who lost at Indiana and somewhat badly to Michigan at home. I'm not sure if they're being exposed as not able to hang with the top-tier teams, or if they just had a road bump. Their schedule isn't terrible the next two weeks, so it gives them lots of time to recover physically, and this team must be very physical to win. Michigan State is not nearly as good as their conference record. They were easily beaten at Minnesota in the only game they've played against a ranked Big Ten opponent (and they haven't played the currently-unranked Badgers yet). Two thirds of their remaining schedule is against teams likely to be ranked, so expect Sparty to get exposed. Who knows, maybe by then Branden Dawson will actually get suspended for a game for acting like a punk. Oh wait, I forgot that Izzo is now soft and has lost almost all credibility. That'll never happen. I love how he benched Dawsen and Payne for the first half against Penn State, but when he realized he might lose the game, he put them back in. Classy. Makes sense that he's such good friends with Tom Crean. Purdue did what they needed to do and beat two bad teams this week. There is still a lot of basketball to be played, but the Boilers freshman are developing and they should be able to hang with most teams at home and be able to win against bad teams on the road. That may be enough for a 7th place finish in conference, but there's a big gap between the top 6 and the bottom 6 this year. Even though Iowa crushed Northwestern by 20 points this week, they've proven that they're not quite ready to be prime time players. The Hawkeyes are formidable at home but can't beat anyone good or on the road. Their conference losses are all to ranked opponents. and now they have two more tough games against Wisconsin and at Ohio State before the schedule gets a bit easier. Being so roughly front-loaded, Iowa could make a run to the middle of the standings as the season progresses, but they're inability to win on the road may keep them out of postseason play in March. What a strange week for the Wildcats. They lose by 20 points at Iowa only to travel to Illinois and put a whooping on the Illini. Either they got lucky or Illinois is really horrible, but either way, I still don't have much faith in Northwestern. 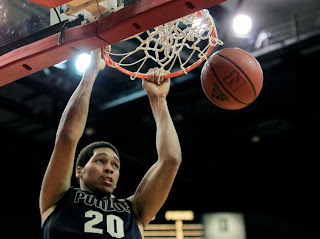 Reggie Hearn can turn it on, but if he's not having a great game, NW won't upset anyone else. After having the Illini ranked 2nd in my poll earlier this season, they continue to do what I warned against and tank in conference play, just like last year. Over less than four weeks they've gone from 2nd to 6th to 10th. Live by the three, die by the three. Illinois has lost two conference games at home by double digits, the most recent being to Northwestern. That's got to make Illini fans furious, since NW isn't anything special this year and yet they were trailing by 17 points during the game, losing by 14. Seems like this crop of players has trouble getting motivated and playing intelligent basketball. I'm giving a two-way tie for 12th place, completely skipping the 11 spot since neither team deserves it. 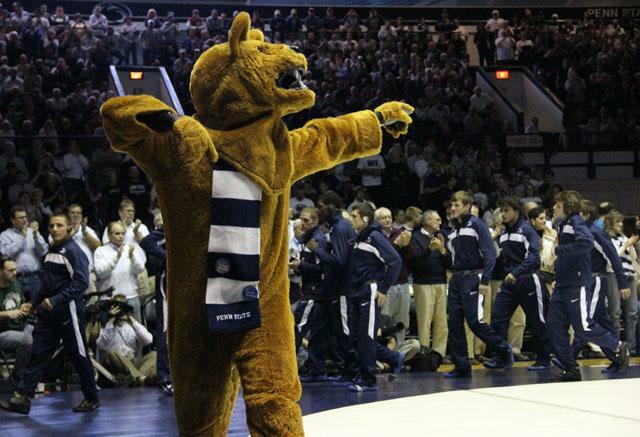 The pitiful Nittany Lions and Huskers still can't seem to win a conference game. At least they play this weekend (at Penn State) for round one of the battle for last place in the Big Ten. 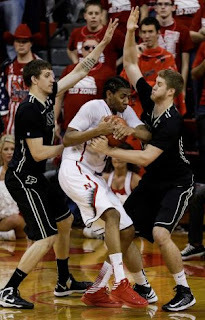 I few things became very clear last night as the Boilers downed the Cornhuskers. Purdue has a great deal more talent and skill than the weaker conference teams. Now if they could just put that together for 40 minutes, it would be something special to watch. The closest we've seen is the upset over Illinois, which was great, but there's still so much untapped potential with this team. Do they have more talent than Michigan and Indiana? No, definitely not, but do they have enough talent to compete for the top spots in the conference next year and beyond. Certainly, and building 20 point leads on the road is a sure sign of that. While Purdue will most likely finish the season in the bottom half of the conference (I'd say a 7th place finish is about their ceiling right now without a catastrophic failure for one of the other teams), there is no cause for panic or for comparing the Boilers to the conference dregs. Feel the ground quake under their might! Erik really needs to catch up on his sleep. His overworked brain completely forgot that Brandon Ubel's elbow was a little too broken for competitive basketball. In his absence we got to see a lot more of Andre Almeida, who Erik referred to as a "GIANT." Almeida seems like he'd be a fun guy to have a beer and pizza with (although he's probably not going to share any of that pizza with you), but it was pretty hilarious watching him and Hammons battle in the low post. You might as well have been watching Godzilla fight Ultraman in slowmo. Strangely Hammons didn't pick up a single foul. As the game got closer midway through the second half, I realized that watching a close game was a lot less fun than watching Purdue destroy Nebraska by 20 points, but I actually liked seeing what this team was made of and how the dealt with the added pressure. They had periods of stupid, young mistakes, but they did enough to keep a safe cushion, and credit Painter with calling some well placed timeouts. What else happened in the game? AJ Hammons had a great game as expected, approaching a triple double with 14 points, 8 rebounds, and 6 blocks. He also dished out three savvy assists and only turned the ball over once. Every game gets me more excited for the future thanks to AJ. Ray Davis got the start again as Painter went small. While he only had five points in 28 minutes, he pulled down seven rebounds, second on the team to only AJ's eight. Playing with the starters, Davis likely won't have as many scoring opportunities (he only took two shots), but it was nice seeing him do lots of little things and play strong defense. Byrd got a lot of praise for his four second-half three pointers, but he still shot just 4 for 10 on the day. He missed all five of his first-half attempts, including three misses in less than two minutes. Purdue needs him to be a three point threat, so consider me happy he's making some, but the cold stretches are still concerning. 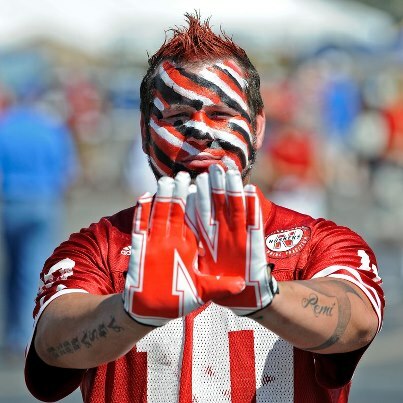 If he didn't get hot later in the game, the Nebraska comeback could have gotten really ugly. I know Painter is seeing how well the small line up works, but where did Jacob Lawson go? My favorite energy guy and physical defender only saw five minutes of action. We'll need him badly against more physical Big Ten teams, so I hope nothing's wrong, be it physically or with his attitude or work ethic in practice. Purdue held Nebraska to 33% shooting, which is fantastic (and they didn't miss as many easy layups as Penn State this weekend), but they only forced two turnovers (Purdue gave it away 12 times). That, coupled with giving up 13 offensive rebounds are the only stats that really concern me. A lot of that had to with the Boilers having stints where they lost a bit of hustle, either staring at the shot instead of crashing the glass or not making life hard enough for whatever Husker had the ball. As a result, Purdue only had a single steal on the night. While the team missed four straight free throws down the stretch (including one front-end of a 1 and 1), prior to that they were shooting well (9 of 12). Still, seeing Ronnie, Terone, and DJ all miss opportunities to secure the victory is frustrating, but fortunately the lead was large enough where it wasn't necessary. Quit trying to lick Terone! 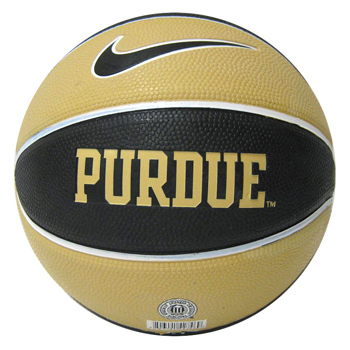 Purdue now stands at 3-2 in conference play, having played three "top-tier" teams (Michigan State, Ohio State, and Illinois) and two lower teams (Penn State and Nebraska), so their record isn't improperly weighted like some). I'm pretty satisfied with that result so far and think there are going to be some fun surprises in conference play over the next few weeks. If the Boilers can stay poised to take advantage, a chance at post-season play seems more feasible. Games like these are great when you're swamped at work and trying to write a short recap during lunch. Much easier to quickly talk about a blowout win than try to write a brief synopsis of why I hate all refs. You all know I can't keep those brief. - Rapheal Davis got the start after the small lineup appeared to make headway versus Ohio State. Over the years, small lineups have been Matt Painter's bread and butter due to injuries - could this be the lineup that he sticks with the rest of the year? However, it was very evident that the big lineup wasn't out there as Purdue ended up getting outrebounded on the offensive glass - a rare occasion so far this year. It's a give and take, although I think I like having another potential scorer and lock down defender out there. - Anthony Johnson took a couple of hard hits and was really laboring in the first half. He still played 21 minutes, but for someone who takes most of his shots from inside the lane, we really need him to start shooting better than 33% from the field (he's shot 33% in each of the last four games). - As the radio play-by-play guy of the Cleveland Indians over the last 20 years, Tom Hamilton might be my favorite announcer. The excitement he gets in his voice while still painting the picture for the viewer/listener is unmatched in broadcasting (Gus Johnson gets excited but usually speaks gibberish while he's doing it). I'm such a big fan that I even have his bobblehead. Unfortunately, he gets so excited about having a game go down to the wire that he can often grind on fans of the favorite (ie. "THEY'VE CUT THE LEAD TO 15, STILL 5 MINUTES TO GO!!!"). This happened on Sunday. Yes, Brandon Taylor made a 50-foot shot at the end of the half to cut the lead to 8. It was a good shot. But "all the momentum" did not shift to Penn State on that shot. Plus EVERY time Taylor touched the ball, that's all he could talk about. If I had time, I would have loved to count the times that shot was mentioned. I bet it was at least 50. Let it go already! Although there admittedly wasn't much exciting to talk about in the second half. SCREENSHOT OF THE WEEK ALERT!!!! 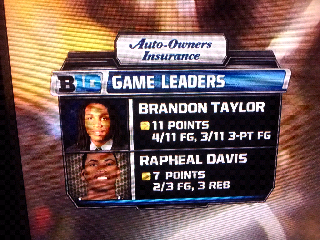 - On a similar note, check out the halftime stat posted by BTN below. Yes, it appears that Taylor not only took 11 threes in the first half, but also had one of them count as two baskets! Not sure how 4/11 FG and 3/11 3-PT FG is possible, but it didn't matter to BTN as they had the graphic up for a good 10 seconds. Nice win, Boilers...needed that one. After a tough loss to Ohio State, the Boilers look to regain some form against Penn State on Sunday. The killer first three-game stretch of the season is over, and Purdue was able to get one win in a series that favored three consecutive losses. That's something, and now the Boilers can build some confidence against some of the lesser teams in the conference. I just hope those "lesser teams" don't include Purdue moving forward. The Tim Frazier-less Nittany Lions aren't very good and only averaging 52 points per game in conference play. That bodes well for a Boilermaker squad that sometimes has trouble scoring. Just like Purdue, Penn State also shoots poorly and can be a bit turnover prone. So basically they are Purdue-lite. Add that to the fact that there's no one on their roster who can handle AJ Hammons, and this shouldn't be a difficult game for Purdue. There's definitely the opportunity for a big blowout (check out Erik's prediction below) and a ridiculous number of Boiler points in the paint. Playing on the road, I honestly don't give Penn State much of a chance in this came. And I mean like less than 5%, which is pretty sad since it's not like Purdue is a powerhouse. The Lions only stand a chance if they can get Hammons in foul trouble, have an uncharacteristically amazing game shooting from the outside, and force Purdue into lots of sloppy turnovers. They need all three of those things to happen, too, that's how rough this game may be for PSU. But hey, stranger things have happened. Despite the early season turnover problems of a young team, Purdue is now second in the Big Ten in turnover margin, winning the battle +2.67 per game (second to Wisconsin). And that's all against some of the top teams in the conference. Penn State is worst in the conference at -5.67. I'm expecting lots of fast break points and streaking layups/dunks for Purdue on Sunday, which is always very fun to watch! Our Picks - We like to think we're better than Vegas. So throughout the season, we'll be "betting" a whole dollar amount versus the spread between $1 and $32, but we can't repeat the same value twice. The spread for this game is Purdue by 11. We're three games into the Big Ten conference season, so it's time for another Power Rankings. Now that things have heated up, I'll be sure post a weekly list where hopefully Purdue avoids the cellar. The start of conference play has seen only a few upsets (the largest being thanks to the Boilers), so there hasn't been too much movement since December. On to the rankings, where ugly shades of yellow are so hot right now and the bottom half of the conference pathetically stays the same. C'mon, there's no way we deserve to be this good man! Since the last rankings, Michigan has wins at Northwestern and at home against Iowa and Nebraska, and all were blow outs. Of course, all were against some of the conference's bottom teams (Iowa's only good at home apparently), so we haven't learned anything new about the Wolverines. They are undefeated but face two huge tests this week: at Ohio State and at Minnesota. If they can win both those games, I'll be penciling them in for a #1 seed in March. I'm really surprised how good the Gophers have been so far, with wins recently against Michigan State, Northwestern, and at Illinois, they may shock the world and surpass Michigan and Indiana by the time the season ends. How are they doing it? Lots of talent, lots of rebounding, lots of defense, and efficient shooting. What can stop them? A penchant for turnovers and, of course, being Minnesota. The Hoosiers have only had two conference games so far, narrowly winning at Iowa but destroying the Nittany Lions on the road. That's not a bad start, but again, it's one that hasn't seen them face a real test. I'm amazed any time they don't break 80 points, since with so much offensive fire power, that's a sign something is majorly wrong. Maybe it's just a road vs. home thing, but we'll find out this weekend when Indiana hosts Minnesota. 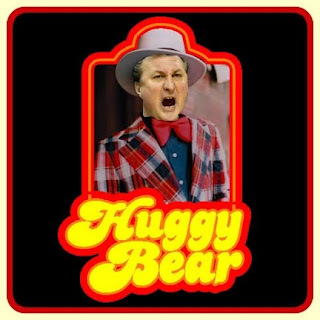 Some home cooking could really build their resume, but I'll be rooting for the Bucktooths, and I do mean Tubby. The Spartans are good, but not remotely great. Gary Harris is the real deal, and Brandon Dawson is the biggest jerk in the conference (you're welcome Derek Elston). I can't write anything else complimentary about them, because I've lost a lot of respect for Tom Izzo. After getting routed by Illinois and having a tough fight against Purdue, OSU's road gets even tougher as they face Michigan and Michigan State this week. Seeing a team that could barely win a game while shooting 20% better than their opponent leaves a lot of doubt that the Buckeyes can hang with the big boys this season. And just for good measure, Aaron Craft is a punk. I mentioned last time that Illinois always seems to have a knack for starting hot and then playing inconsistently once conference play begins, and of course they played to their role this season. After a big upset loss at Purdue, the Illini crushed Ohio State at home but followed that up with a huge loss at home to Minnesota. Still bipolar as ever. Which team will show up at Wisconsin this weekend, and better yet, which version of Brandon Paul? Probably the bad one that got Bruce Weber fired. The Hawkeyes had nearly the roughest start to the conference season imaginable, with games against Indiana, Michigan, and Michigan State. All losses, but both their home battles were incredibly close. Despite the poor record, I still expect Iowa to finish in the middle of the conference and to make up ground as their schedule gets lighter. Wisconsin still hasn't been challenged, with wins against Penn State and Nebraska, but they're doing what they need to do - beating the bad teams. Opponents this week are Illinois and Indiana, and six of their next seven opponents are ranked. 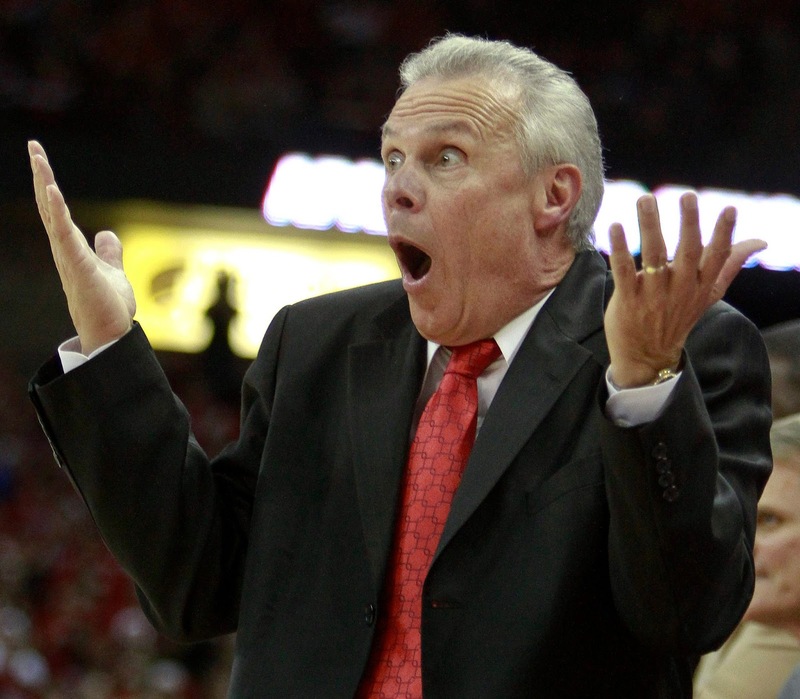 I see the potential for Bo Ryan's head to explode (or he may bite the head off a live bat in a fit of rage) if the Badgers can't muster their distinct home court advantage this season. Thanks to the big upset over Illinois, the Boilers look more respectable than their resume. They've played great halves against Michigan State and Ohio State, too, but half a game won't cut it in the Big Ten. They better beat Penn State and Nebraska this week or the glimmer of hope will fade away. With tough blowout losses to Michigan and Minnesota, the Wildcats will probably lose to all the good teams but still have enough tricks up their sleeve to contend against the bottom half of the conference. Even so, I only predict three more conference wins for Northwestern since they'll be at a huge talent disadvantage against everyone other than Penn State and Nebraska (and they only get to play Nebraska once). I still feel bad for Penn State after losing Tim Frazier for the season. He was fun to watch and gave them a chance in any game. Instead, they lose to teams like Northwestern by 16 points at home. Ugly. Purdue better destroy them on Sunday or else Painter should start using co-rec players as punishment. How on earth is Nebraska's RPI still so high? They haven't won a game since December, aren't competitive against ranked teams, and are barely over .500. Sometimes the RPI doesn't make sense, and I don't see how they even get to three conference wins this year. Do I rip on these Corn Jerkers unjustly? Probably, but I think we can all agree that you always hope to see them twice on the schedule each season. Irony being Purdue only gets to face them once. Why is writing about these losses so dang hard? You can tell Erik and I take our dear time to process what went wrong when the Boilers aren't victorious, and if you read his recap of the Michigan State game, you'll see why. It could be appropriate to start this post again complaining about poor officiating, but the last thing we want is to be known as "those guys who always blame it on the refs." And honestly, I used to be far worse than Erik, and I'm still pretty bad (it's that whole injustice thing), but while the officiating was horrible again, sometimes it went Purdue's way and often it didn't. Them's the breaks. I can't find any stats on the topic, but Purdue had to miss at least half of their shots within two feet of the basket. A few more converted layups and this game is very, very different down the stretch. Remember, the OSU lead was only six points with just under three minutes to play. That's also a time frame where Purdue didn't score a single point. As frustrating as the outside shooting woes have been this season, I didn't expect missing layups to be this big a problem. It's just another piece of evidence on how Purdue can do most things correctly, but still make simple mistakes (often out of youth) that make it all for naught. Before the game even started (by the way, what a horrible jump ball toss. My grandma could have executed that better) I commented to my buddy that we were toast if Hammons OR Lawson got in foul trouble. People often talk about Hammons needing to stay on the court as our only decent option at center, but Lawson is just as critical at the four spot. 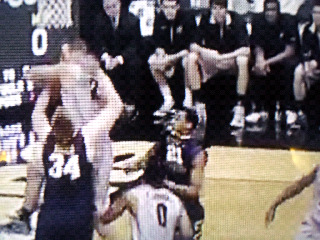 When Lawson picked up his second foul less than four minutes into the game, I knew Purdue was in trouble. Lawson's energy and defensive prowess are critical to this team, especially against physical teams (no matter their actual size). It went down hill quickly (even with OSU losing Craft to foul trouble), and it then escalated when Hammons had to sit eight minutes into the game. I don't like picking on players, but I have to be honest. Carroll and Hale cannot be in the game at the same time. They provide almost nothing offensively and played horrible defense. Hale missed his only two attempts, and both were getting burned inside playing Olé defense. Slow and plodding won't cut it in the Big Ten. Thankfully after a couple minutes (where the deficit peaked at nine points), Painter realized the same thing and brought Lawson back in even with his two fouls. Still, I was screaming for Painter to insert Marcius for Carroll, even though he hadn't played any meaningful minutes since the Lamar game (and that was a blowout, so he had basically been benched since the NYC trip). My buddy thought I was crazy. While I'm writing about what went wrong in the game, let me reserve this space for giving a great deal of respect to Chooch. I begged for him amid laughter from my peers, and then the Croatian Sensation did me proud. In his first minute on the floor, Sandi had two steals, an assist, and an offensive rebound. Someone was fired up for playing time! I know offensively he can look goofy and he airballed a contested over-the-shoulder put-back attempt later on, but I'm not asking for him to be a star. I'm asking for him to do something, nay anything, to help the team while Hammons gets a rest. Carroll sure wasn't. Over the eight minutes Marcius played in the first half, the OSU lead leveled off, with the Buckeyes only scoring eight points during that time on three jump shots and a free throw. His final stat line was two points, four rebounds (two offensive), three steals, and one assist in eleven minutes of action. Due to Hale's poor play, Painter ended up using Ray Davis at the four spot, and he, much like Chooch, put in a great performance. He played physical defense, went three for three shooting with a steal, and attacked the basket. There's so much potential with Davis if he could show more consistency, but hopefully we see more of him in the rotation and less of Hale. And we thought Purdue's depth in the front court was going to be a strength this season, yikes! At least Hammons and Lawson have a lot of years left. 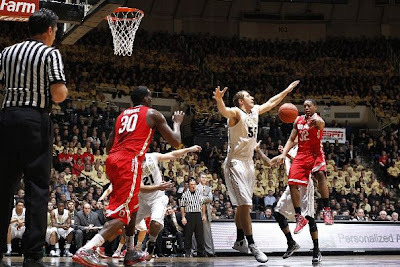 Against Illinois, Purdue played 40 minutes of high intensity basketball and tenacious defense. Against MSU, we saw some of it, but not for the entire game, and when certain calls went against Purdue, the life went out of the Boiler sails. The same happened this week. During stretches of the first half and down the stretch, it sometimes looked like no one wearing gold wanted to be on the court. I don't care what personnel are in the game at that time, everyone can play with intensity and physicality. Just ask Chooch. Purdue almost shot the three ball (38%) better than from elsewhere (39%), which is pretty disappointing. It seemed like they missed every long two-point attempt, and Terone missed all three of his three-pointers. I would have thought getting Craft in early foul trouble less than five minutes into the game would have been an asset, but a one-point deficit became a fourteen point hole. I referenced some reasons why the Boilers couldn't stop the Buckeyes from scoring above, but to falter so poorly offensively when the conference's "best" defender was on the bench for such a long stretch is disgraceful. For a stretch of the second half, Painter went small with four guards and Hammons in the game, and the offense really started to click. Making that adjustment would have been nice in the first half when the team was hemorrhaging points, but hopefully it was a good experiment that will help the Boilers win games down the road. Either this team needs higher basketball IQ or there's a competition in the locker room to see who can shoot the most times per game. Those are the only reasons for guys like DJ and the Johnsons taking really bad shots so early in the shot clock. When you're offense struggles (and you have difficulty making deep shots), it means you need to work harder running the motion. Things can eventually open up, but missing quick shots ruins a potential easier scoring opportunity while wearing you out by forcing you to get back on defense and exhaust 30 seconds of energy. Make the opponent work for the stops! There was a period in the second half where the offense was clicking incredibly well and getting the Boilers easy looks inside. If only that had happened in the first half, the outcome may have been different. If the refs are calling a foul for even breathing on Aaron Craft, figure out another way to stop him, including getting him back in foul trouble by driving at him. I did appreciate on thing Dan Dakich said during the broadcast (and the only interesting thing he said): Aaron Craft told him he commits a foul every defensive possession, but the refs can't call them all. So true, punk. I also have to comment about moving screens. Like holding calls in football, they are one of my biggest pet peeves in the college game because some teams seem to constantly commit the foul, only to never (or rarely) be called. It's a distinct advantage to play (and coach) that way if the refs aren't going to call it (just like holding). I was thrilled to see one (or two?) call on OSU in the first half (and one on Purdue? ), but then the whistle stopped being blown, and I have no idea why. They were horrible, and they seem to always be when playing OSU and certain other teams. In the second half, I don't think Amir Williams set a single clean pick. It's hard for man defense to fight around a screen that keeps shifting illegally, so it puts the Boilers at a distinct disadvantage. Overall, this was a game we all expected to lose three weeks ago, so let's not get all bent out of shape. Yes, it was a horrible missed opportunity, but this season Purdue is playing more for development than any actual post-season prize. Hopefully games like this will just make the team more determined and hungrier to win in the future and they can work on the things outlined above. p.s. the gold and black stripes in Mackey looked awesome! Are you surprised that this is licensed Buckeye merchandise? Ohio State is coming off a 19-point loss to Illinois - the same Illinois team that Purdue beat three days earlier. That should give the Boilers all the confidence they need. But here's something that's even more promising - Naanaa Egwu scored 16 points and pretty much dominated the Buckeyes. Ohio State has really struggled with their inside offense and defense this year, meaning Purdue actually matches up pretty well. Amir Williams is Ohio State's only player over 6-8. If AJ Hammons can stay out of foul trouble, expect the Boilers to be right there in the last couple minutes of the game. The Buckeyes have a ton of talent and showed it as they nearly won at Duke in the Big Ten/ACC Challenge. This is another team that shoots very well with Deshaun Thomas averaging over 20 points per game. If Lenzelle Smith gets hot from 3-point range (he's averaging 44% on the season), that should allow Aaron Craft to drive inside and work his magic. Craft has destroyed the Boilers in the past, even with an excellent Lewis Jackson guarding him. It's tough to imagine how anyone will be able to stop him on this year's team. This will be the first year since 2001 that I will not be attending a Purdue-Ohio State basketball game (normally I go to the game in Columbus, but there isn't one this year), so you may notice it's a little quieter in there this year - I really hate Ohio State. However, it'll be nice to see the Paint Crew back in full force on ESPN...expect it to get loud in Mackey tomorrow! Our Picks - We like to think we're better than Vegas. So throughout the season, we'll be "betting" a whole dollar amount versus the spread between $1 and $32, but we can't repeat the same value twice. The spread for this game is Ohio State -6.5.